Please browse through the US catalog to see the material that is available, and contact us regarding your requirements by using the contact form. The Next Teaching on The Keys of Enoch®, with profound cosmograms, reveals powerful multi-dimensional experiences of how Life is not from happenstance, but evolved from within the Light Code. In fact, the natural cosmophysical phenomena of atoms and subatomic particles all come from this Light Source. The teaching explains how all intelligences possess the Light encoded from higher realities and other dimensional creations. What we call the natural cosmophysical phenomenon of the universe is a higher encoding from Consciousness reality. All are based on higher Light numina connected with a nonlocal reality. The book provides a greater past, present and future perspective as revealed by Metatron and Enoch that brings together science and spirituality. It also details the Seven Days of Creation and reveals that Human intelligence exists in a sacred cosmophysical spacetime and is directly part of a greater evolutionary memory of Divine Intelligence. Consciousness expansion begins with us, and with it we can meet any serious challenges and begin to create a better world. 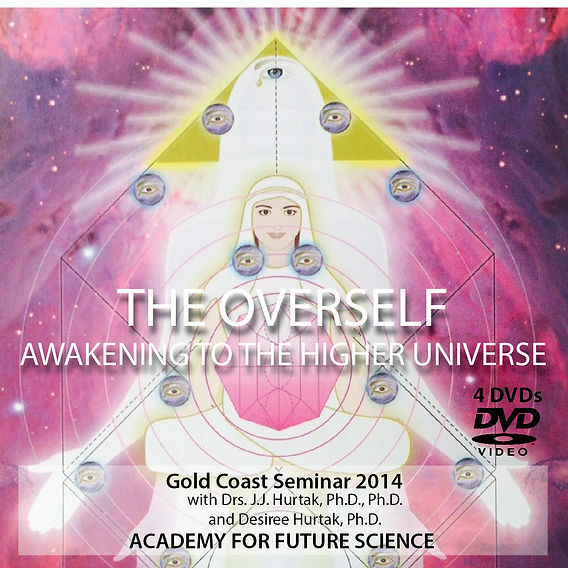 In their latest book, The Overself Awakening: The Schoolhouse of the Soul, Drs. Hurtak detail 72 stages of personal evolutionary growth that allows us to pursue our own personal transformation process. By exploring the new wonders of life in the cosmos, as well as those within us, we can discover the inner depths of our reality. This seminar will involve the use of music and meditation to help us move into deeper levels of awareness where we can unify body, mind and spirit.